We were recently visited by two nice Cubs and their owners who were out adding to their cross country time. Not that either of them needed it though. 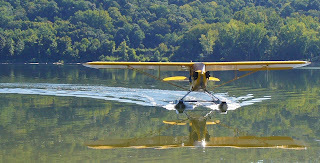 One was Bern Heimos who is well known for his cross country travels in his Cub, and Gary Baglien, once a 747 instructor at Northwest, likely has more travel time than all of us combined. That's the nice thing about this place, you just never know who's going to land next. As for Gary Baglien, well, we've known him for some time and he has always had great taste in aircraft. In the picture above you can see that hasn't changed. For his trip to Wisconsin, Gary called Lee Bottom Coastal Command to request a fuel drop and it was quickly granted. 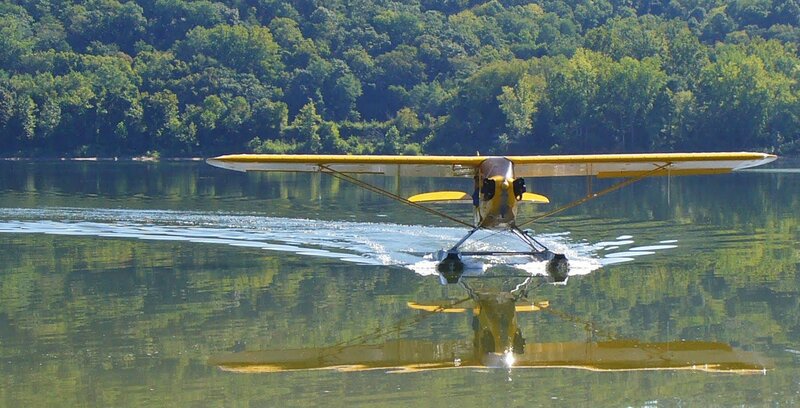 There's a bit of a thin spot in this area of the country for seaplane fuel stops and we were glad to help. If you've never been to Lee Bottom, drop in to see us the next time you're in the area and add yourself to the ever growing Lee Bottom Family.